Future South Africa welcomes the SABC interim board’s decision to institute legal proceedings to recover money from former executives Hlaudi Motsoeneng and James Aguma. Yesterday, interim board chairperson Khanyisile Kweyama said that the SABC would withhold the pensions of Motsoeneng and Aguma to recover irregular benefits enjoyed during their tenure. “The SABC interim board must be praised for the swift action taken against its former executives. This sends a strong message that irregular dealings will no longer be tolerated at the public broadcaster,” said FutureSA patron, Sheila Sisulu. 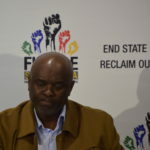 “The interim board decision is in line with the resolutions of the Conference for the Future of South Africa, initiated by civil society on July 18, which call for state-owned entities such as the SABC to be rid of corruption and poor governance, and for officials involved in irregular dealings to be sanctioned and held liable. “In essence, resolutions were taken with the view of making any activity linked to state capture, corruption, or poor governance expensive for perpetrators,” Sisulu said. “The interim board has made good progress in dealing with the rot at the SABC, and we hope it continues to restore the integrity of the public broadcaster. The interim board proves the value of having leaders with integrity and a commitment to servant leadership, and sets a good example for other state-owned entities,” added fellow FutureSA patron, Shauket Fakie. “What the interim board is doing should be replicated across other state-owned entities, to reverse actions taken by those intent on looting public coffers. This should be the start of implementing measures aimed at clean governance and accountability,” he said. 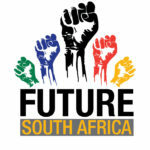 * Future South Africa is a new broad civil society front, which was launched this week in Johannesburg with the aim of ending state capture and reclaiming South Africa. It was formed following the Conference for the Future of South Africa.